Fraud, misconduct, sexual harassment, cyberbullying, and data security breaches are just a few of the significant risks facing school districts in our current environment. School business officials have an important legal duty to respond to and investigate these events. 4Discovery, a prominent digital forensics firm, will lead a panel discussion on the use of digital forensics in investigating school incidents at the Illinois Association of School Board Officials (IASBO) annual conference, on May 3-4, 2018 in Schaumburg, Illinois. “We are seeing a definite increase in school district incidents,” said Jeffrey Hartman, a Partner and Co-Founder of 4Discovery, “and the impact on those districts can be catastrophic. We are thrilled to be partnering with the IASBO on this important program.” 4Discovery is a leading provider of digital forensics services to school districts and their lawyers. Like any other business or organization, school districts are susceptible to incidents related to misconduct, fraud, or sexual harassment, but because students are often involved in these matters, the risks can be magnified. In addition, school districts are significant aggregators of highly confidential information, such as student medical records, disciplinary files, and other data, creating a unique set of challenges for school officials. 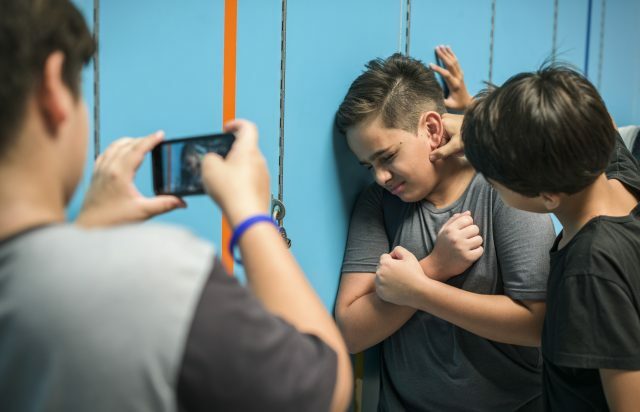 When investigating school incidents such as cyberbullying, for example, school district officials and their lawyers often discover that the evidence they need to consider is digital, and stored on computers, tablets, mobile devices, and social media cloud locations. This program will help school administrators understand the important role forensics can play in responding to incidents of all types. The Illinois Association of School Business Officials is the leading organization dedicated to the development, leadership, training, advocacy, and networking of school district professionals. Visit www.IASBO.org for more information. For more information about the IASBO conference visit www.iasboconference.org/home.